The Board of Friends of Ecological Reserves has attempted over the past two years to get the government departments of BC Parks and BC Forests Lands and Natural Resources to clarify the process needed for the establishment of Ecological Reserves. Since we have not been successful yet in determining that process, it was encouraging for me to see that perhaps there are other ways of dealing with needed conservation in this province. At the 13th HABITAT CONSERVATION CONNECTION FORUM on October 8, 2015 in Sidney BC, the focus of the forum was on the need to have a strategic and collaborative approach for effective conservation efforts in Coastal Douglas-fir ecosystems. 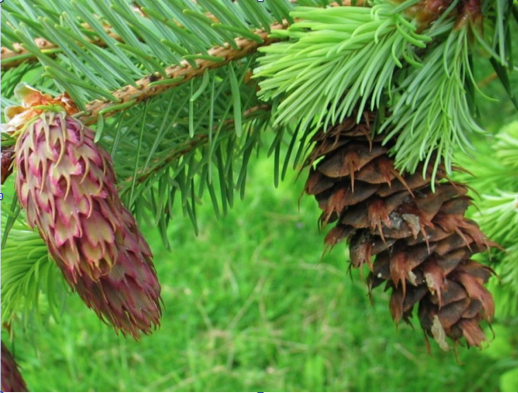 The Coastal Douglas-fir Conservation Partnership (CDFCP) brings a strategy of shared stewardship and has identified conservation priorities that reduce duplication of effort, share resources and information, and provide support to its participants. The agenda of the sessions and bios of speakers can be found at http://www.hat.bc.ca/our-blog/conservation-connection-forum. Since there were concurrent sessions, brief outlines of a few of the sessions are included here. Andy MacKinnon, Biologist and Forester who was responsible when working with the Ministry of Forests for Ecosystem mapping for BC, laid out the current status of the Coastal Douglas Fir Bioregion. Warm dry summers and wet winters of the Southern part of Vancouver Island have determined the small range of this ecosystem. These conditions also attract people to move here so that most of the traditional range has been occupied by development. The statistics are telling. Only three per cent of the old growth ecosystem remains. Forty-four per cent has been logged, urban and agricultural take up 46 per cent and non-forested wetlands and rock occupy seven per cent. The land ownership figures detail the problem with the sustainability of this ecosystem which has 127 plants listed by COSEWIC and 26 listed as species at risk (SAR) as well as 81 animals of concern. In British Columbia as a whole, five per cent of the land area is privately owned and 95 per cent is crown land. In the Coastal Douglas Fir zone 93 per cent is privately owned and seven per cent is publicly owned, therefore we would have to set aside a lot from private land to assure adequate conservation. Andy listed some of the Research initiatives in CDF Zones. With Climate change being a major concern, it is fairly simple to make climate predictions but harder to see what is happening on the ground. On South East Vancouver Island they have been looking at various features such as microclimates, understory vegetation, decomposition nutrient cycling and dendrochronology. It is called the integrated Climate change study. Why we might care: We live here, not much of it is left in BC, ownership is variable, such a small amount is currently in protected areas and as a consequence it includes many species at risk. http://www.cdfcp.ca/index.php/about-the-cdfcp/conservation-strategy, you can see how the CDFCP has developed a Conservation Strategy to guide the activities of the Partnership and identify important partnership opportunities. This is a living document and will change over time. The Partnership will endeavour to have the most recent copy posted here, and welcomes comments and feedback at info@cdfcp.ca. The Partnership has identified five primary goals. These goals express the ways in which CDFCP is working towards the vision of ecological integrity for Coastal Douglas-fir and associated ecosystems. The first three are core business of the CDFCP, the other two are activities supported by the Partnership. Dr. Richard Schuster presented sessions on how new tools have been developed to identify areas with high conservation values. Dr. Richard Schuster has developed and deployed the MARXAN server which aids in the identification of areas that meet targets for a range of input features for minimal cost. The Marxan server Uses concept complementarity, can maximize compactness can include data on ecological processes, threats and conditions, and can offer decision support, although it is not intended to be a decision maker. Dr. Peter Arcese spoke on the need for prioritizing conservation. Human Influence on ecosystems is considerable, but by engaging private landowners, conservation of biodiversity could be furthered greatly. Usually the cost of acquiring land for conservation purposes is too high so we need to think about how to engage federal, provincial and private land managers and how do we could fund those efforts. C storage and sequestering of old growth is assured. There are also applications with planning for Salmonid enhancement, and determining what are the best practices for Species at Risk. Dr. Amanda Rodewald of the Cornell Lab of Ornithology in the US provided examples of how private land conservation requires new partners and creative approaches with her presentation on Conservation Incentives: Tax Shifting, Lessons, & New Approaches from the United States. The typical traditional approach has been to purchase properties outright, establish conservation covenants or easements, incentives for specific management practices or education. However most of these traditional methods are looking at a fixed time scale. Now we have examples of how to use Dynamic Conservation, a complementary approach that can work in a variable environment. In some ecosystems there are variable and changing environments, ephemeral resources or temporary needs of species during specific periods of their annual cycle. Expensive land creates a renters market, so by paying farmers to welcome birds, for instance at different times of their migratory seasons has proven successful In California. Bird returns pays farmers for allowing rice fields to remain flooded at certain times. Nature conservancy can evaluate where bids are most needed. It is based on science driven estimates of the amount of habitat they need. The system is flexible, adaptive and economical. The example of payments to farmers to delay or forgo mowing… for ground-nesting birds at specific times of the year has been successful as has payment for riparian conservation that benefit salmon that temporarily use the habitat and time sensitive efforts for instance for recolonizing bluebirds. These methods complement the more traditional approach of permanently protected areas. Dynamic conservation works for public land too. Six species of birds with more than 50 per cent of global population have habitat in the US National forests. Global tools for conservation such as e-bird, which is Citizen science driven have proven useful in plotting the distribution and values of certain areas for conservation. These examples from the HAT Conservation Connections Forum have provided some indication that even if the current government has little appetite for the creation of more protected areas, there are ways that a partnership of conservation organizations, governments, and other stakeholders can develop conservation plans, and use tools to set and recognize their own conservation priorities.